At the bargaining table, governments and employers across the country continue to ask for more and offer less in return. To strengthen the power of our members during bargaining, delegates at the 2017 National Convention passed a resolution to have strike pay begin on the first day of a strike or lockout. Previously, strike pay of up to $300 a week began on the fifth day of a strike. This change is now in effect. It adds strength to the bargaining position of locals when employers try to bargain unreasonable demands. From now on, bargaining strategies will take into account the fact that our members will have their strike pay in hand sooner. Before proceeding with strike action, locals can put in place a strike-averting campaign which is funded 100 per cent by CUPE National. With strike pay from day one, strike-averting campaigns and CUPE’s strengthened bargaining policy rejecting concessionary demands and two-tier proposals by employers, our members are now better equipped than ever to negotiate in the current climate of austerity. This is the power of a pan-Canadian union of 650,000 members with a national strike fund of $95 million. 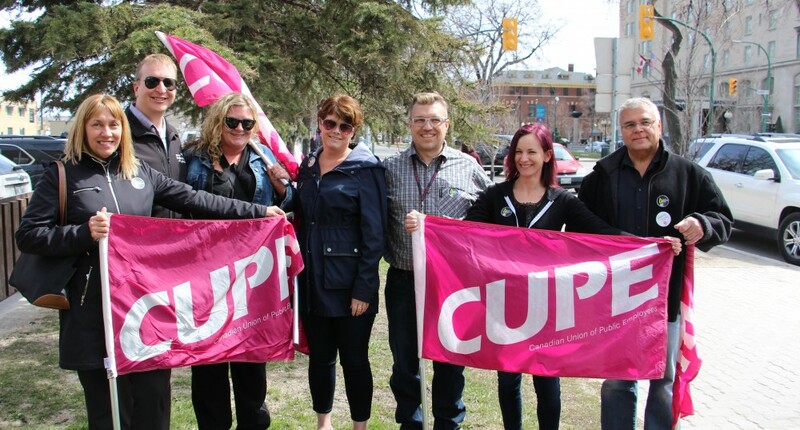 At CUPE, when our members are involved, when our locals are prepared and when we have all the necessary resources in place, we can fight back and win. Together, we will continue to uphold the interests of our members, our public services and our communities. Our victories will continue to benefit not only our members but also all workers across Canada. In 2018, the National President and I are counting on your commitment to help us in our ongoing struggle for justice and equity for all. Solidarity and all the best for the coming year. This entry was posted in News by bmarchan. Bookmark the permalink.